I’m sure that the Duke and Duchess of Cambridge’s calendars are mostly determined by their kids’ school schedules at this point. Apparently, George and Charlotte have been out of school for their “Easter holiday” for the past two weeks? That’s what people keep saying, although that kind of break seems weird to me. I went to public school in America, and we generally got a week or a week-and-a-half off around the actual Easter date, not two or three weeks before. 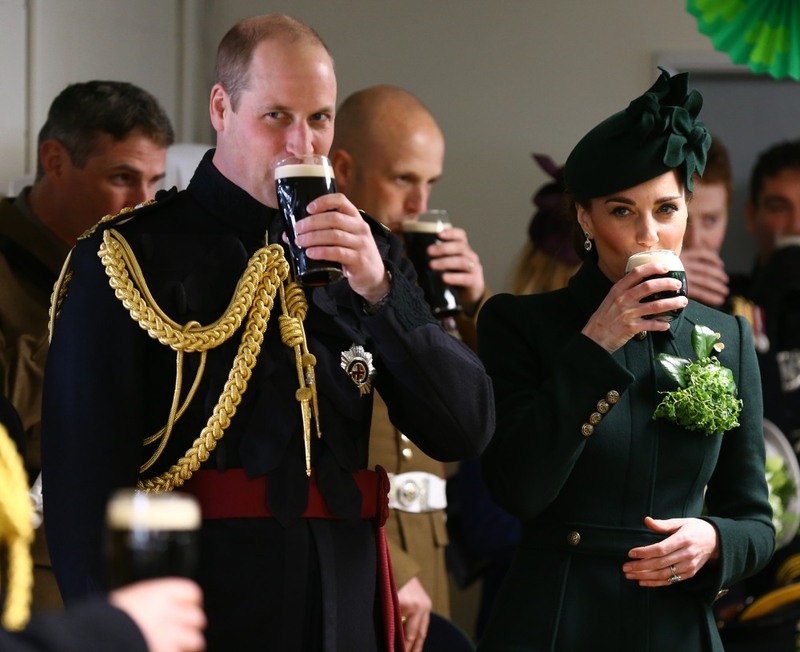 But Kate’s last public event was on March 28th, and William has only done two public events in four weeks’ time – the St. Patrick’s Day/Irish Guards shamrock thing, and appearing at the premiere of Our Planet on April 4th. Reportedly, William spent three week “shadowing” people at British spy agencies, but it just sounded like a glorified internship. You can see cute photos of Prince George on Mike’s shoulders and Kate with the girls and all of it is super-cute. The photos came from Norfolk, where the Cambridges were out to support Zara Phillips-Tindall at the Burnham horse trials, which were close to Anmer Hall. Hello says that Prince Lou wasn’t there, and was probably home with Nanny Maria. Poor Lou – too little to watch the horses!